Russian History for the Rest of Us! Have Personality Disorder, Will Rule Russia: An Iconoclastic History by a Recovering Russophile. Eremeeva should know: as a former tour guide and Ivy League-educated historian, Eremeeva is adept at making Russia’s complex history both entertaining and digestible for non-academics. She strolls expertly but lightly through her material, tracing the winning formula for Russia’s effective rulers back to the Tatar Mongols: revealing why Ivan may not have been so Terrible; explaining why Catherine so totally awesome; and asserting that neither Peter the Great nor Stalin would ever tweet anything. To download Jennifer Eremeeva’s recommendations for further reading about medieval and imperial Russia, the Romanovs, and current events in the Russian Federation, click here. Prefer to listen to your Russian History? 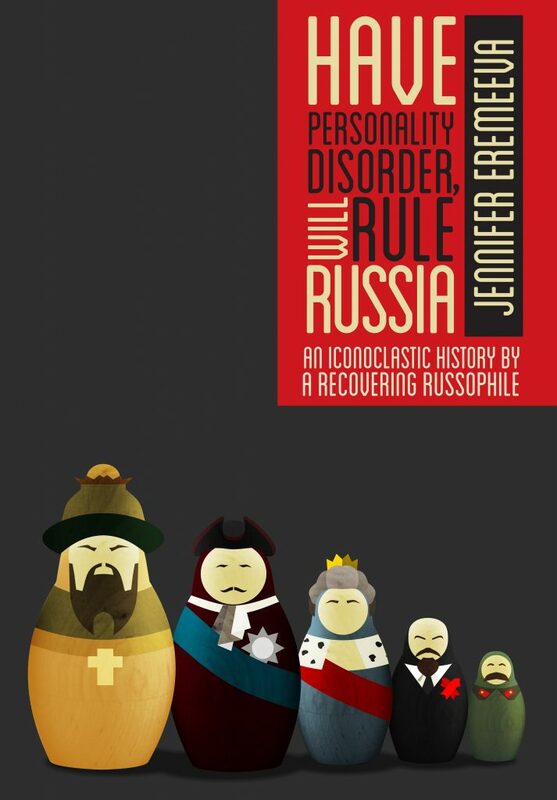 Have Personality Disorder, Will Rule Russia is also available as an audiobook – I did the narration, as I did for Lenin Lives Next Door, which was a lot of fun to do. I’m a huge audiobook consumer, so it was very interesting to learn how they are made and produced. I loved being in the studio and thinking up ways to use my speaking voice to enhance my writer’s voice. The audiobook is not free, but if you are new to audiobooks, this is a great time to get stuck in them with this offer of two free downloads from Audible! Contact Jennifer directly to order paperbacks in bulk for travel and/or academic purposes or to have her visit your library, reading circle, or book club in person or via Skype. Get all the latest updates from Jennifer!